Sustainable Retail; The Customer is King! 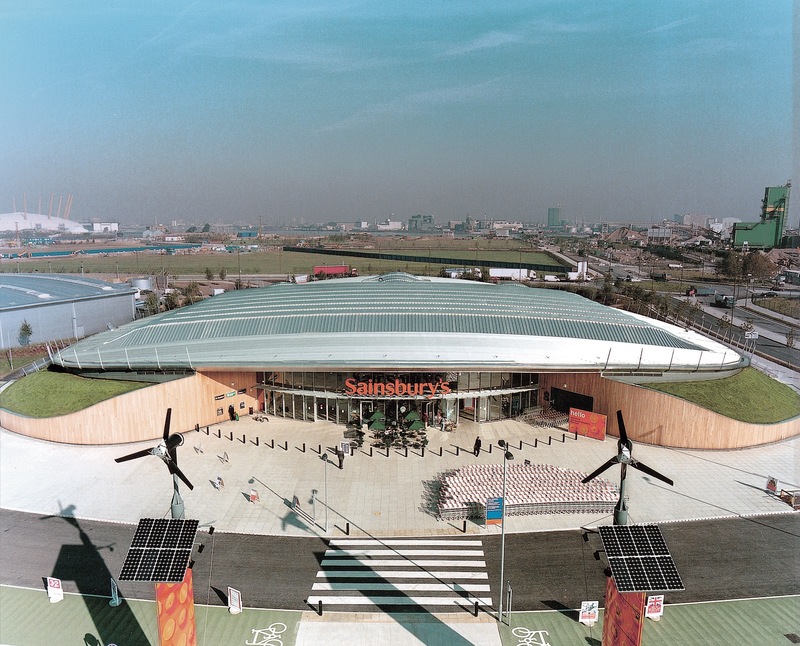 It has been over twelve years since the first sustainable retail building was opened by Sainsbury's on the Greenwich Peninsula. So you would imagine that the knowledge base has developed significantly over this period and that we are now producing much better more holistic solutions right? Well, unfortunately I am not sure that this is the case! You see, the problem I would argue, is that we have fairly spectacularly missed the point when it come to designing sustainable buildings for the retail sector. Rather than starting with the needs, wants and desires of the customer almost all of the developments have focused on energy efficiency to the virtual exclusion of anything else. So why, if the retailers mantra is "the customer is king" has this not been the starting point for redesigning the buildings that we would like them to use, enjoy and want to come back to? I believe that this is caused by a fundamental disconnect between the shop keepers and the teams that deliver their buildings. Rather than understanding what the client really needs to drive sales, the process has been dumbed down to a repeater process that reduces risk but ultimately delivers an end result that is far from the optimum. A good illustration of this point is the reintroduction of daylight into the sales floor. 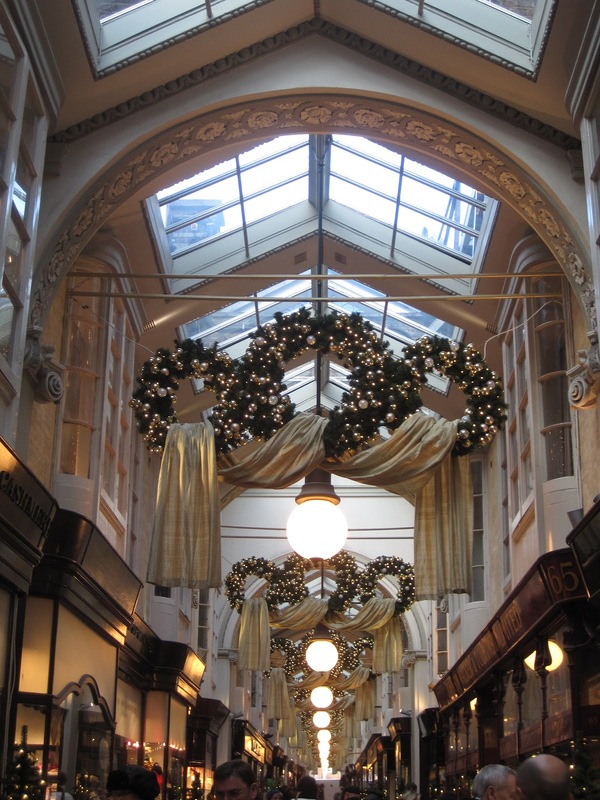 At Greenwich we used a north light roof that not only provides light but also reconnected the interior of the store with the wider environment; creating a more comfortable, less claustrophobic environment, conceived to encourage customers to dwell longer and spend more. Subsequent buildings have used light pipes to deliver the daylight, but with none of the other customer benefits. Customer centered retail design should offer the most comfort benefits to the customer using the least energy and materials necessary to satisfy their needs. This would mean that all stores would be heated and if really necessary, cooled using underfloor systems, rather than blowing warm and cool air down into the occupied zone, because humans experience discomfort when heated from above. This arrangement has the associated benefit that only the volume of the store nearest the floor that customers inhabit is conditioned. Temperatures above the first two metres can be allowed to fluctuate more widely since nobody experiences them. 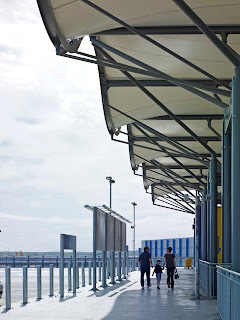 Providing appropriate fresh air is also an important factor in creating a well tempered customer environment. 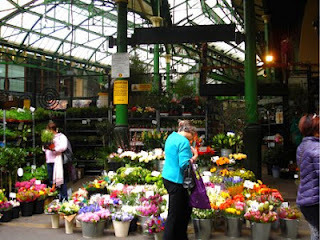 It is important that fresh air is delivered directly to the place where customers are, near the floor, rather than blowing it down onto them from above. The reason for this is simple, all of the warm, moist, stale air that we exhale floats up and settles in a soggy, smelly layer against the ceiling. When fresh air is blown down from above it has to pass through this layer where it enevitably mixes, resulting in a mixture of fresh and stale air being delivered! Many high quality office environments use displacement ventilation delivered through grills in the floor and similar systems have been trialled in retail environments but have not yet been widely adopted. Customers love natually lit retail environments; think of covered markets and arcades and you conjure up a picture of fresh abundant produce and upmarket boutique shops with beautifully lit produce. 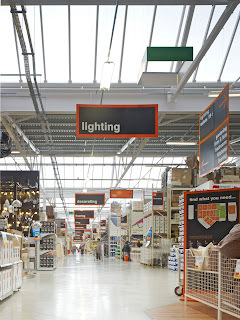 So why is it that black box stores with little or no natural light has become the norm? The argument made is that natural light is hard to control and can wash out display lighting. Amazingly, galleries manage to light priceless works of art this way, we just need to try a little harder. One of the other challenges that natural lighting poses is that the windows in the roof need to face north if overheating is to be avoided. Sites do not always make it easy to orientate the roof in the correct direction and this has led to the increasing use of lightpipes as they do not require specific orientation. This is in my opinion an over reaction and we need to develop innovative solutions to overcome what are realitively easy problems to solve. Once we have created the optimum internal environment for our customers it is important that energy losses through the envelope are kept to an absolute minimum. It really suprises me that buildings are still being built to Building Regulations minimum standards. Insulation is relatively cheap and is much easier to install during construction than at some point during the life of the building. I can see no reason why you would not install the maximum amount of insulation to futureproof the finished building, aiming to achieve a u value of between 0.1 to 0.15 W/m2K and carefully detail the junctions to ensure infiltration rates are less than 0.15 m3/( m2.hr) @50Pa. 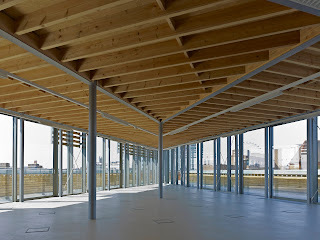 As buildings are designed to be more energy efficient the balance between operational energy and embodied energy shifts, placing more emphasis on the energy that is embodied in the materials used to construct the buildings. This has led to a move away from steel and concrete to wood alternatives. While this is to be encouraged, because timber locks in carbon, we do not currently grow enough of the stuff to satisfy demand. 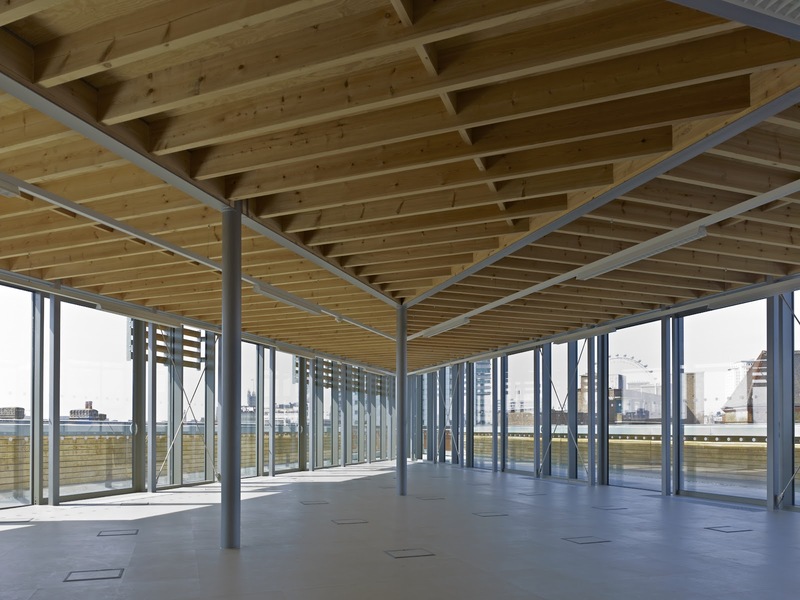 A number of projects are making big sustainability claims based on the fact that they use a lot of wood and therefore sequester large amounts of carbon. If you are building in Scandinavia where wood is plentiful this is not such an issue, however in Britian we do not produce much and it will be difficult to significantly increase production. I believe that we should be designing hi tech timber structures that use our precious locally grown timber as efficiently as possible. Through careful design and specification this approach will encourage investment in UK forestery and help to develop the UK timber industry. I believe that the continuing concern regarding the state of the UK economy, coupled with growing emphasis on the carbon footprint of the materials, will see a drive towards the use of more locally produced building materials. This is likely to result in buildings specifically designed to be “Made in Britian” using local materials and components to reduce their total embodied carbon, create jobs and help to grow the UK’s building products industries. To support our ailing High Streets it is essential that new development is sensitively located to provide retail anchors that will attract customers to these under pressure locations and encourage linked shopping trips. I believe that all new retail development should be designed to make the most of valuable urban land and to do this, high density mixed use schemes will become the norm. 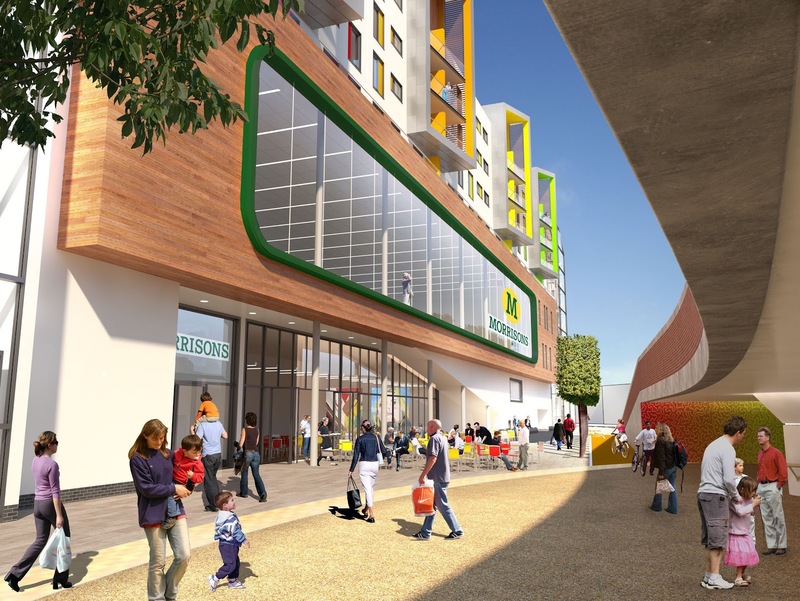 This will not only ensure economic sustainability by incorporating residential uses above retail, it will help to increase the number of residents in the area who will patronise not only the stores that they live above, but also their adjoining local High Street. The trend for creating more experiential retail environments has been developing for over a decade now, but has yet to really influence the design of most stores. But, with the rapid growth in online retail and the inevitable impact that it is having on physical store takings there is a growing need for stores to offer more than simply selling products if they are to arrest the growth in virtual shopping. I believe that we will see more retail stores incorporating environments where customers can actually try out products and learn new skills. 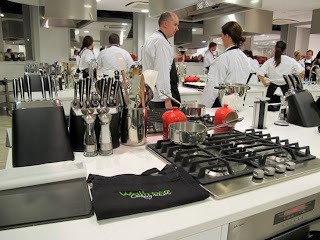 Imagine the Jamie Oliver healthy eating academy, attached to your local store, teaching customers how to cook and eat more healthy food. 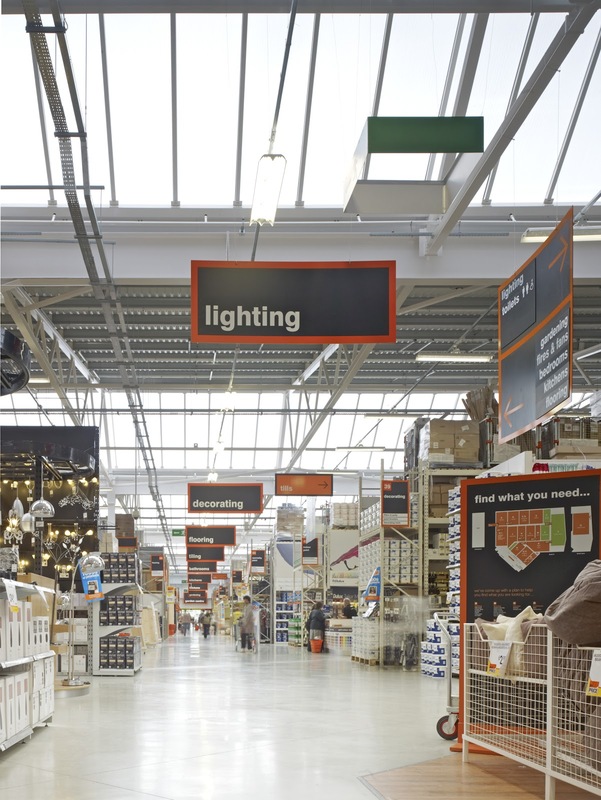 At your local B&Q store you will be able to try new tools before you buy, learn skills from local tradesmen and even take a taster course run by the local further eduction college before signing up for full time study. Incorporating educational facilities within retail environment will provide tangible benefits to the local communities that they serve and for early adoptors will dramatically change customer perception of their brands. It is now over a decade since Sainsbury’s at Greenwich, the worlds first sustainable retail building opened and it is, in my biased opinion, still yet to be supassed. In these recessionary times it is essential that the sustainable stores of the future must utilise customer focused design to deliver enduring value by making customers feel comfortable, relaxed and more likely to stay and spend. Every material and component must be selected to provide optimum performance with the minimum carbon footprint and material miles. Social sustainability will I believe be of increasing importance and will result in new and innovative uses being incorporated into stores, providing customers and their families with education and training opportunities. All of the social and economic benefits must be achieved with either neutral or ideally beneficial impacts upon the environment. I am firmly of the opinion that holistic sustainability will be the key driver that will drive innovation and this will revolutionise store architecture.